Our quarter wave phase retarder mirrors solve the problem of laser cutting metals with a CO2 laser. High power CO2 lasers often emit a beam that is linearly polarised. Linear or plane polarised CO2 laser beams will give uneven kerf width and cut quality, depending on the motion of the metal relative to the plane of polarisation. 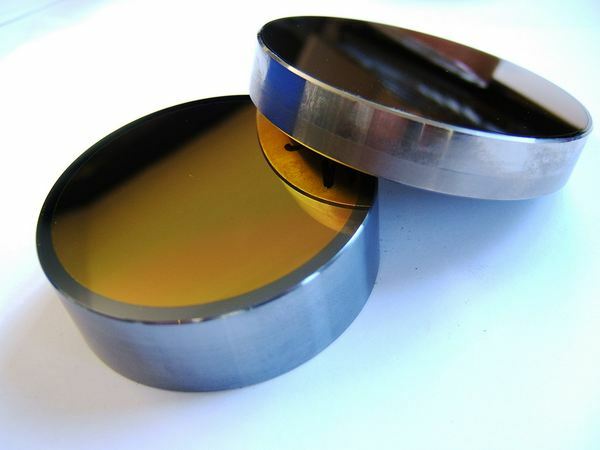 90 degree phase retarder mirrors convert the linear (or plane polarised laser beam) typically emitted by high power CO2 lasers to a circularly polarised laser beam. 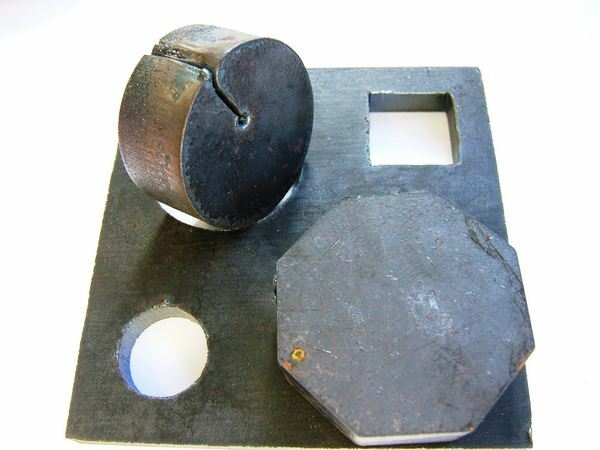 A circular polarised beam is needed to ensure even and consistent metal cutting in different axes of motion. To convert linear polarisation to circular polarisation, one of our phase retarding mirrors with an exact 90 degree phase shift at 10.6um wavelength can be used. 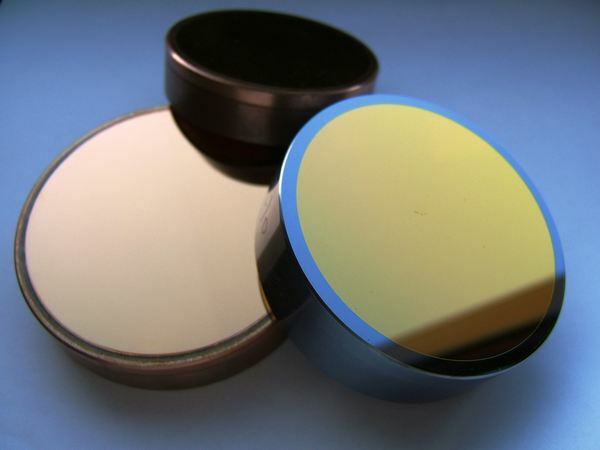 Often called polarisers, ECQ mirrors, 90 degree phase retarders, or lambda/4 mirrors, these reflectors introduce a phase shift of exactly 90 degrees to the beam. The 90 degree phase shift is achieved by using a carefully controlled thin film dielectric coating deposited on a copper mirror substrate. 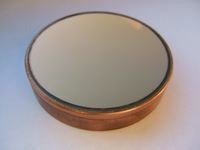 LBP Optics stock a range of standard reflective phase retarder mirrors from copper substrates. Accurate control of the phase shift value of the mirror coating is needed to ensure high quality circular polarisation for consistent laser cutting. LBP phase retarders typically measure 90 degrees, +/- 1 degree. Each mirror is individually tested and the value noted on the mirror. It is essential that mirrors before and after the polarising mirror do not affect the polarisation of the beam (i.e. they have zero phase shift). Our gold coated mirrors are recommended for this purpose, having one of the lowest phase shifts known (< 1 degree). As a simple metal layer gold coating is very reliable and the phase shift does not vary mirror to mirror or batch to batch. Gold mirrors can be used for "fault" finding where polarisation problems are suspected, as they have such a consistent near zero phase shift. The phase retarder mirror needs to be accurately positioned at 45° angle of incidence to the beam, so the beam is turned through 90°. The mirror also needs to be accurately positioned at 45° incidence to the plane of polarisation. As the most expensive laser mirror it should be located away from the cutting area if possible, ideally inside the laser cabinet. 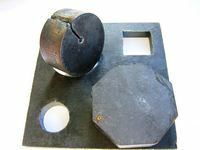 The phase retarder diameter should be 2.5 or 3 times the beam diameter. Used in reverse, a 90 degree phase retarder converts circular polarisation to linear polarisation. Phase retarders are highly optimised for 90 degree phase shift at 10.6um wavelength only.